Homestretch has always had a strong interest in producing products that have "real" value to our community. That's why we're excited to announce that work is underway on the first phase of our planned 2,000 acre farming project. Using water from the power plant, Homestretch plans to begin growing grain on previously undeveloped ground that has been leased from our neighbors. Because the ground is new farm ground, a grain crop will be planted the first 1-2 years, to help condition the soil. 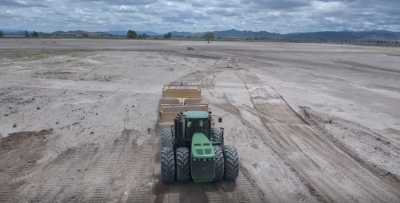 Once the ground is deemed suitable, alfalfa hay will be planted, and possibly, in the future, vegetable crops. Homestretch has acquired the equipment necessary to prepare the ground and initiate farming, though some of the specialty equipment needed for planting and harvesting will likely be provided by a "custom farmer." A pipeline has been installed to provide the necessary water for irrigation, and preliminary surveys have been done. Update: January 2017, Over 250 acres have been leveled and developed for farming. Homestretch anticipates planting approximately 400 acres in Spring of 2017. The first use of the geothermal water onsite was Agri-Technologies indoor tomato growing operation. 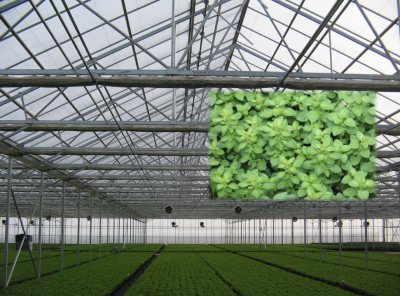 Greenhouse operations require significant heating and cooling systems which are energy intensive in order to produce a consistent product year-round. Homestretch's water and heat resources are perfectly suited for growing a wide variety of indoor crops. Homestretch's location on US95A, and proximity to Carson City, Lake Tahoe, and the Reno area, would allow fresh produce to be delivered to stores and restaurants throughout Northern Nevada on a daily basis. Homestretch is actively seeking interested growers and investors to help utilize the unique resources onsite, to benefit the Northern Nevada community with useful products, grown in a "green" environment.